N95 Mask Fit Testing through our Toronto N95 mask fit testing program offers exceptional respirator mask fit testing for professionals! If you need respirator mask fit testing, you can be sure that we have trained professionals who can assist you with this. With Toronto N95 mask fit testing service options in your area, you can’t go wrong. Make sure you have gone through N95 mask fit testing before you end up using faulty equipment! All too often, we simply are not educated on the equipment that we use and rely on a daily basis. In healthcare and other environments where exposure to airborne pathogens exist, it is essential that you have up-to-date and specific training on how to use a N95 Respirator. When you are participating in N95 mask fit testing, you are taking the first step towards protecting yourself and those around you from potentially harmful airborne pathogens. Respirator mask fit testing needs to be conducted by experts and knowledgeable health and safety fit testers; you want to be sure that you have put yourself in good hands! 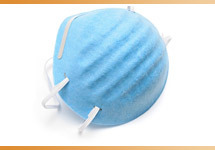 Synergy Employment Services’ Toronto N95 mask fit testing has been a very successful program for those seeking walk-in and personalized mask fit testing. However, Synergy has gradually become a strong leader in providing on-site N95 Mask Fit Testing to universities, colleges, healthcare operators and industries across Canada. 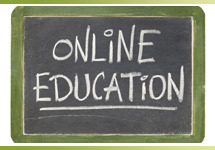 The program offers a unique user experience providing excellent education and exceptional value. 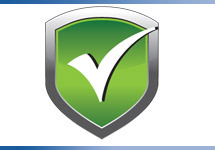 Synergy believes that respirator mask fit testing doesn’t need to be a confusing and expensive task. 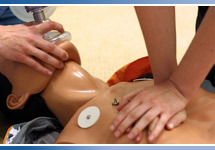 We believe that this is a fundamental component of a well thought out and orchestrated health and safety program. As many front line workers will attest, Synergy has offered one of the best experiences around! We have innovated the way N95 mask fit testing is conducted by including video based education, online scheduling and compliance reporting! If you have any questions, please feel free to contact your Toronto N95 mask fit testing location for a customized proposal for your organization or group!